Vegan recipes, topics, & our travels. One of my favorite foods is tacos. I just love them and when I became vegan I thought I would never enjoy another taco. I was so very wrong. 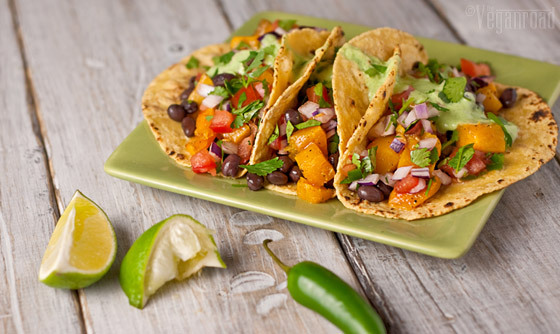 In my search for some great vegan recipes I wondered about tacos. So into google I typed Vegan Tacos and was amazed at all the recipes that popped up. I came across this one and I just happened to have most of the ingredients in my fridge so I thought why not? Tom and I were absolutely blown away by all of the flavor. They were so easy to make and had lots of depth which have made these my go to tacos every since. If you need a great taco recipe, hop on over to The Vegan Road and try out their Vegan Street Tacos.. you will not be sorry that you did. Previous PostRaw sweet potatoes are delish! Raw sweet potatoes are delish!